Communication is an integral part of human life. It has existed in different variants since time immemorial. Human beings are the only creatures in the world who can speak and share information in such a way. As a result, it is very important for a speaker to communicate clearly for others can understand him/her. In fact, this matter concerns many people who are eager to become real professionals in the field of human interaction. Thus, there are a great variety of books that tackle the mentioned sphere and in detail explain what to do to improve communication skills. 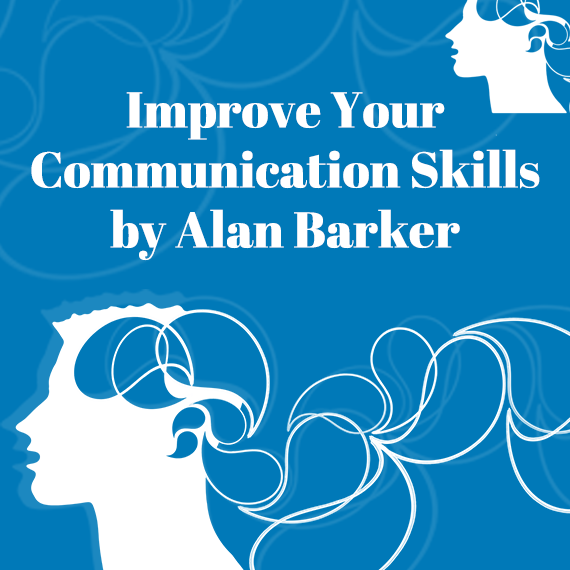 One of them is Improve Your Communication Skills by Alan Barker. This book is chosen because it explains what communication is and how to build it right; how to lead a conversation correctly and be effective. It also explains how to convey necessary information and how important it is to make communication clear. Besides, it is a useful guide that emphasizes concepts of inquiry and persuasion that make communication more efficient. Moreover, there is a stress on the importance of clarifying objectives, managing time, and finding common ground during a talk. In addition, it is necessary to mention that this book is a real treasure for those who want to be perfectly skilled in oral interaction. Besides, there are noise and feedback. In the communication, the brain of the person who talks is the source and the brain of the person who listens is the receiver; the noise is a different kind of distractions the listener can experience and the feedback is everything the speaker receives from the listener. For example, gestures and facial expressions that show how a person understands his/her collocutor. Despite the fact that communication seems easy, there may remain a number of problems that make a speech not quite clear for others. Thus, as it has already been discussed during the class, this book also suggests that one of the main concepts of communication is understanding. One needs to take into account some contexts of communication to gain it. For instance psychological deals with who one is and what he/she brings to the interaction. Relational one determines what relations speakers have and whether collocutors like each other. Moreover, there is situational context, under what conditions and where people communicate; environmental or physical, location, cultural norms, and rules of behavior influence communication too (Barker, 2011). If a speaker does not take into consideration these contexts, it can lead to misunderstanding. It means that the person who talks can put one meaning into his/her speech but the listener may understand it differently. In addition, when talking, one needs to remember that communication is continuous, complicated, and contextual (Barker, 2011). It means that communication is prolonged. Moreover, we need to take into account person’s gestures and tone of voice because they are never isolated and have a receiver. It is important to build mutual understanding in human interaction. Therefore, it is better to omit personal questions at the first meeting; the speaker needs to find something to compliment the person he/she talks to. The speaker should find something to agree with and form a ‘mirror image’, which means to copy the collocutor’s gestures (Barker, 2011). To become a better communicator, a person needs to keep to some other concepts that help in such a difficult task. One needs to understand from the very beginning that it is very important to know the objectives of communication. All the books, including this one, suggest that a person has to clarify the aim of a talk from the very beginning. In other words, he/she needs to know why he/she talks and what aim he/she wants to achieve in this speech (Barker, 2011). Moreover, a person must manage the time of a conversation that should be neither too slow nor too fast. Mostly, an effective communication starts slowly and can get faster. However, this rule does not always work. It may go too fast when people interrupt each other, stop listening to each other, or start a parallel talk. So, if a conversation is not too fast, one can take time to think before answering, summarize what a collocutor told before replying, or ask open questions for the person to be unable to answer just ‘yes’ or ‘no’ (Barker, 2011). However, sometimes a talk can go too slow. It occurs when one speaker starts to dominate another one or when people pause a lot, then the conversation dies. If it happens, the collocutor can propose something different, summarize the previous stage, and go to another one, ask once again, or offer new ideas (Barker, 2011). One of the most essential concepts in communication is to find common ground in talk. Although it was not mentioned during the classes, it appears to be of great importance. This means that when a person talks, he/she starts from personal information, later tries to get into opponent’s information territory. To do it correctly, one must ask guiding questions and see a person’s reaction. If he/she continues talking, nods, smiles, the speaker can go on. If he/she answers without desire, avoids answering at all, it means that he/she does not want to touch that topic or let one into his personal territory (Barker, 2011). It is necessary to say that it is important to work on strategies and concepts step by step, not on all at once, and move to another stage when the previous one is mastered. If you want to inquire about something, it is also important to keep to some rules. For example, to concentrate on what other person talks about, never interrupt, show interest in the speech, treat the speaker as equal, encourage the person to talk, ask quality questions to make person think, not to give information to boast, and give positive feedback. Persuasion is also essential in speech when you want to achieve your aim in speaking; therefore, following strategies is not less important. It is necessary not only for an individual conversation but for a group interaction as well. One can persuade someone if he/she conveys a message correctly; the idea of the talk should be new to listeners to arouse questions, he/she must use appropriate examples and visuals, if necessary, to make an excellent presentation of the idea (Barker, 2011). In conclusion, it is necessary to mention that following all the given concepts and strategies and their employment make a person a successful communicator, improve not only his/her communication but also listening skills. Besides, he/she will master the language of gestures and body, know how to inquire about necessary information, and persuade people not only in a face-to-face but also in a group interaction. Barker, A. (2011). Improve your communication skills. Haryana: Replika Press Pvt Ltd.